The best season in Kyoto has arrived! 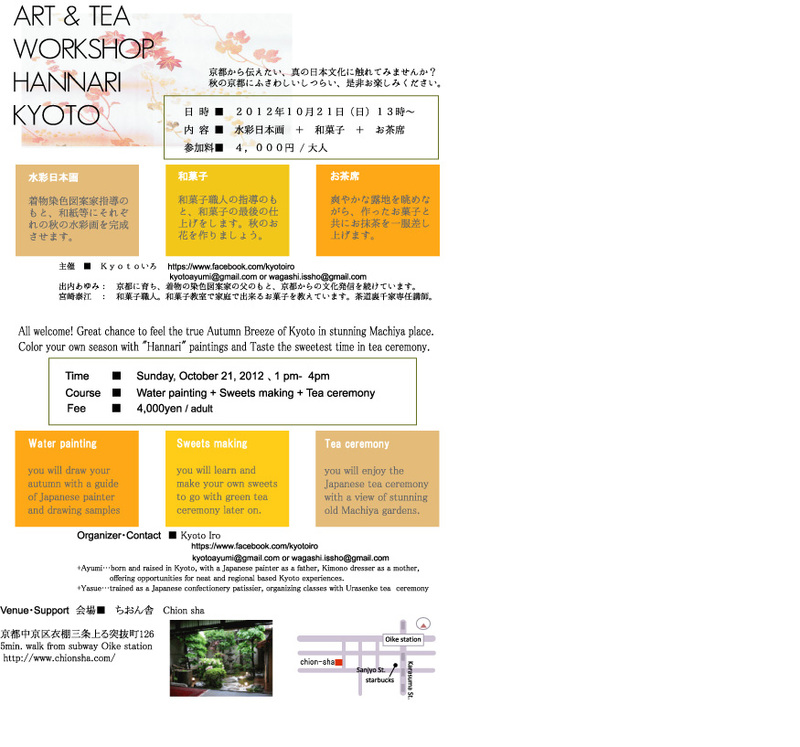 an autumn Art and Tea workshop event is held. 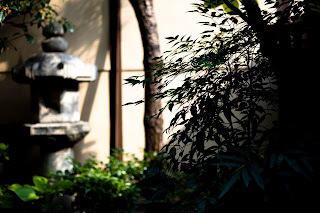 a nice old Machiya house with a stunning view near subway Oike station. 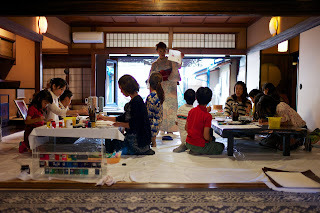 Japanese soft calligraphy, water painting, sweets&tea ceremony. All welcome, and feel free to bring your friends!